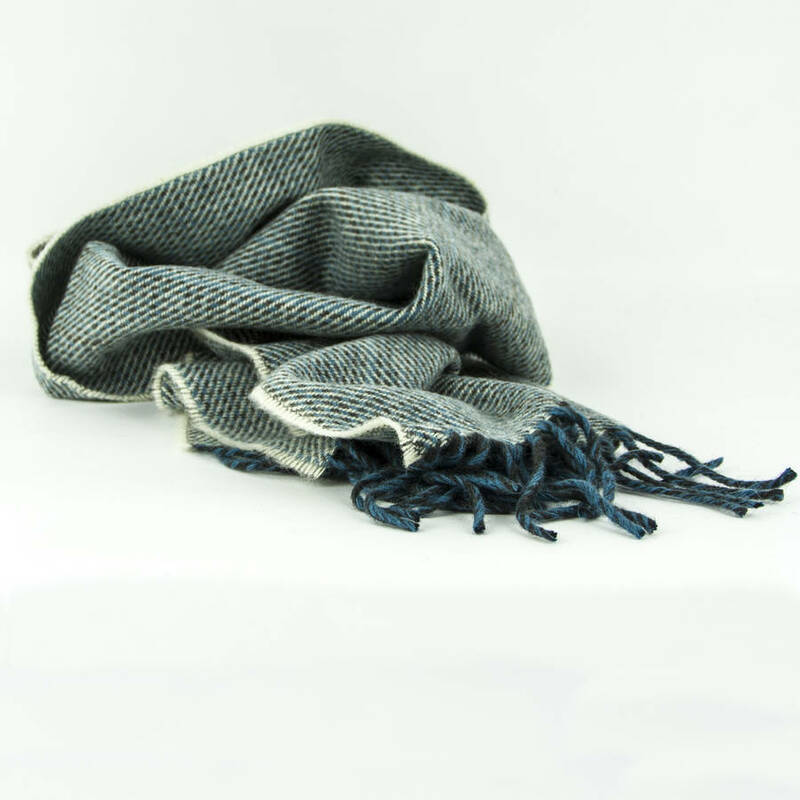 A warm wool scarf woven in Scotland from British wool sourced directly from the farm gate in Yorkshire. These high quality wool scarves are designed by Laura's Loom and woven in small exclusive batches at a weaving mill in the Scottish Borders. 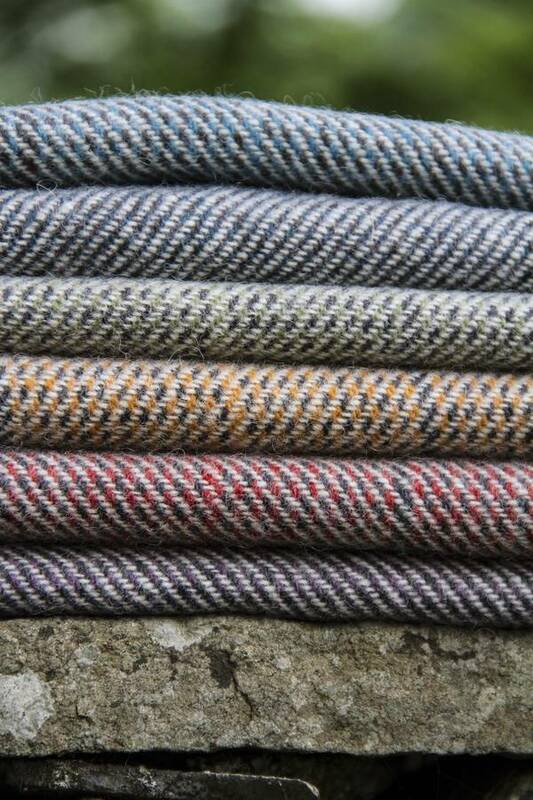 The wool is sourced directly from farms in the Yorkshire Dales National Park and spun in West Yorkshire. 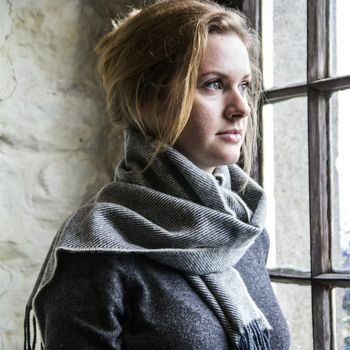 It is dyed in Scotland to a palette chosen by Laura and inspired by the northern landscape in which she works. Each scarf is finished with a short tasselled fringe. You have five subtle colours to choose from - Sky Blue, Moss Green, Red Bracken, Blue Tarn, & Purple Clover - all influenced by the Yorkshire Dales landscape which surrounds my workshop. 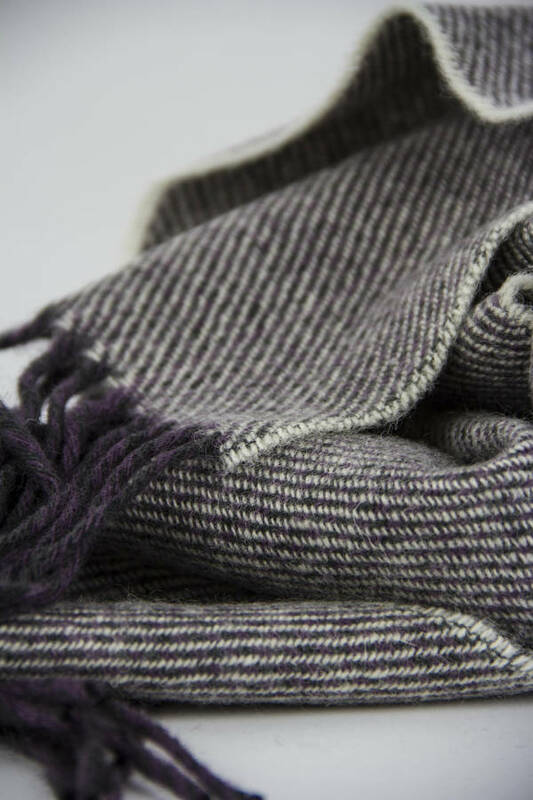 Each scarf has a multi-coloured fringe and softly muted cream edges. 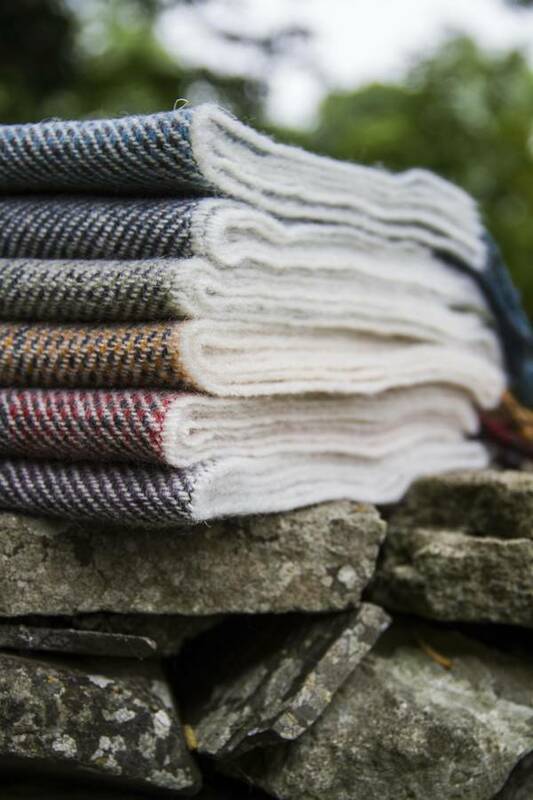 100% British Bluefaced Leicester wool, locally sourced from farms in the Yorkshire Dales and Cumbria.